Looking for a USED VM-X5/250B? Ideal for Turbine Blades and More. Finish complicated undercut root work piece in one holding with the swivel B-axis. The VM-X5/250B has no Backlash due to a B-axis swivel spindle head driven by a roller gear and A-axis direct drive rotary table. 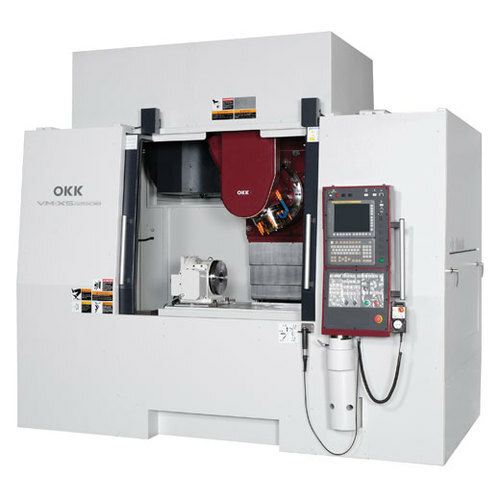 Looking to Purchase a New OKK VM-X5/250B? Hi-Tec CNC México, S.A. de C.V.